Traditionally, women are expected to be more actively involved in skin care, but now that the “unkempt, macho” look is fast losing its charm, men are trying hard to up their game. Companies producing skincare products now cater to men as well. Some guys, however, prefer natural and chemical-free ways for a healthy skin care routine. If you belong to this category, you’ve come to the right place! Taking good care of your hands is very important but often neglected. 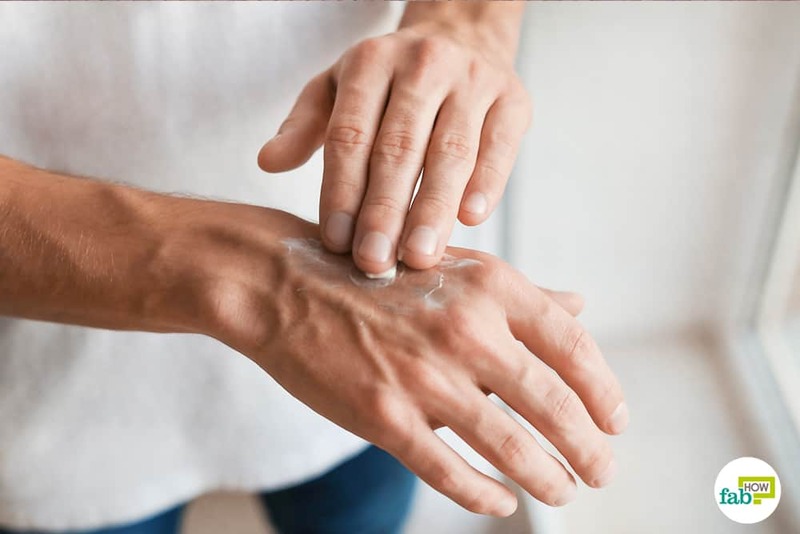 Cold and dry weather, exposure to pollution and chemicals, excessive hand washing, and a particular type of work are just a few factors that can make your hands look dry and lifeless. Chores such as washing clothes, doing dishes, gardening, and other outdoor activities may also add to the problem. Also, the damaged upper layer of the skin is more susceptible to UV radiation. Chapped and rough hands can be a nuisance. Every time you touch something or shake hands with someone, you are reminded of the fact that something is wrong with your hands. Things may take an embarrassing turn when others begin to notice this damage. Hands are perhaps the main part of your body; so, of course, they need a little more pampering! The good news is that restoring the health of your skin is not that difficult. You do not need fancy and over-expensive creams and lotions to do the job. Several household remedies will naturally heal your rough hands and keep them moisturized and hydrated. Step 4. Mix the ingredients well and pour the mixture into a container. Men generally prefer easy-to-follow and simple skincare routine, and this remedy definitely checks that box. 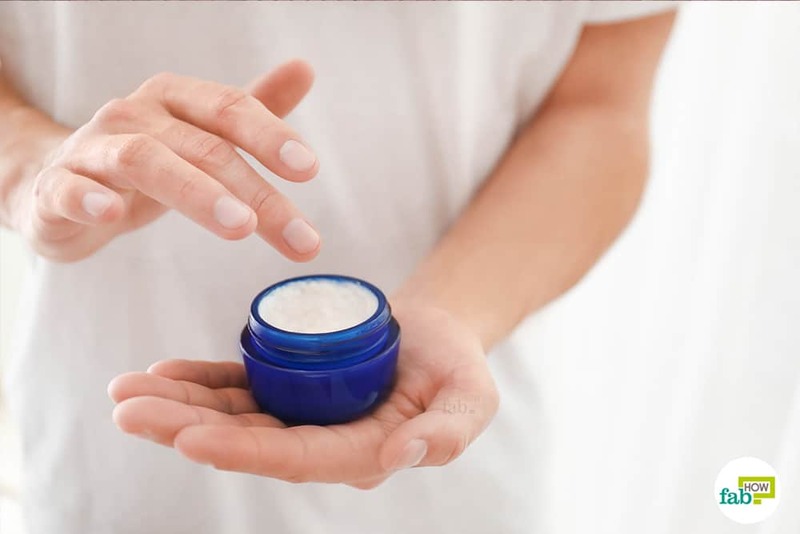 Here is the best recipe for DIY homemade hand cream for men that can be used for healing and protecting those macho hands! 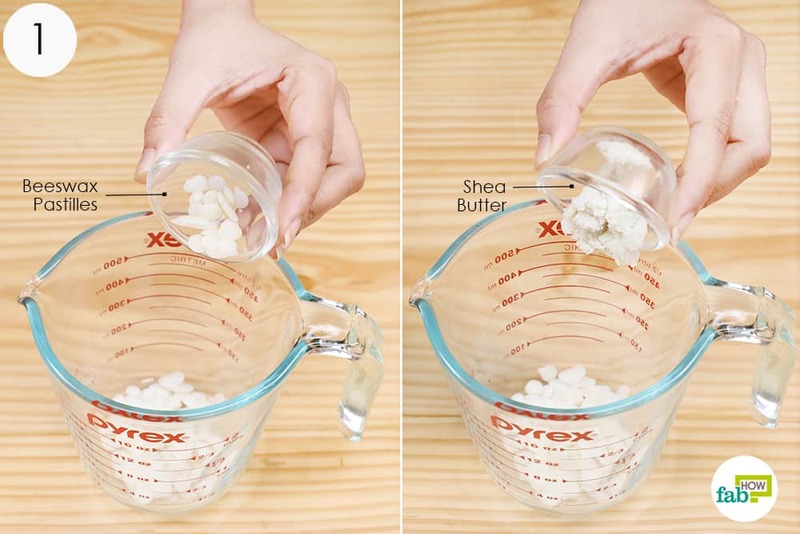 Put beeswax pastilles and Shea butter in a jar and microwave for 1-2 minutes. Now add coconut oil, olive oil, and almond oil to the jar. Press and squeeze the vitamin E capsules and add its contents to the other ingredients. Add 4 drops of lavender, eucalyptus, and rosemary essential oils each to the rest of the ingredients. Use a hand whisker to mix the ingredients well. Make sure the cream is of an even consistency. 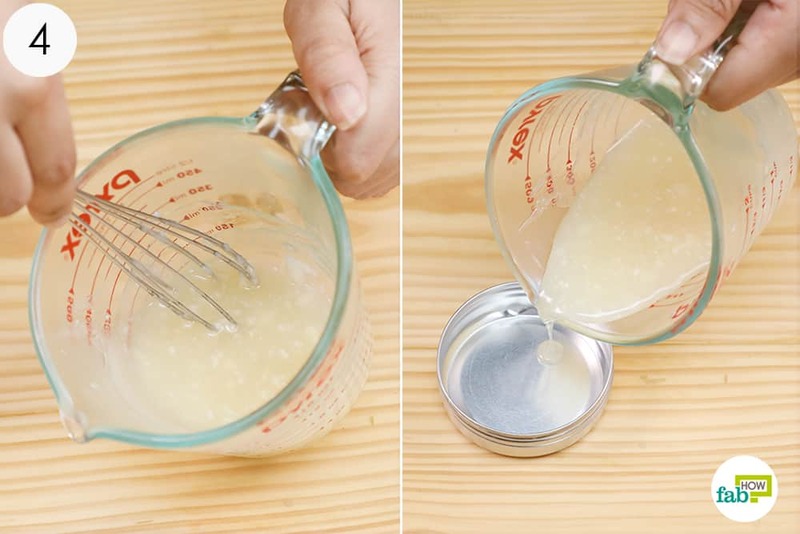 Your homemade hand cream is ready to use. Store and use this magical remedy as required up to 6 months in a cool dark place. 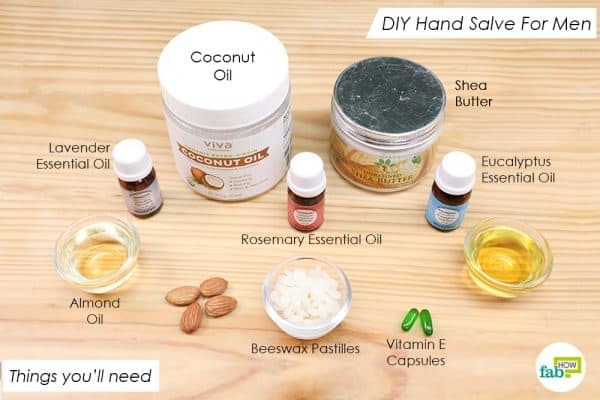 This DIY hand cream is a combination of carefully chosen ingredients that offer several skin benefits. Let’s have a look at how each ingredient in this remedy plays a role in treating dry and rough hands. Beeswax: Beeswax is immensely popular in the world of beauty and skincare. It helps seal the moisture into the skin and offers protection from toxins and irritants present in the environment. Vitamin A in beeswax promotes the regeneration of skin cells. Being a natural humectant, beeswax helps in keeping the skin hydrated. It will heal cracked and rough hands and rescue them from further damage by creating a protective barrier. 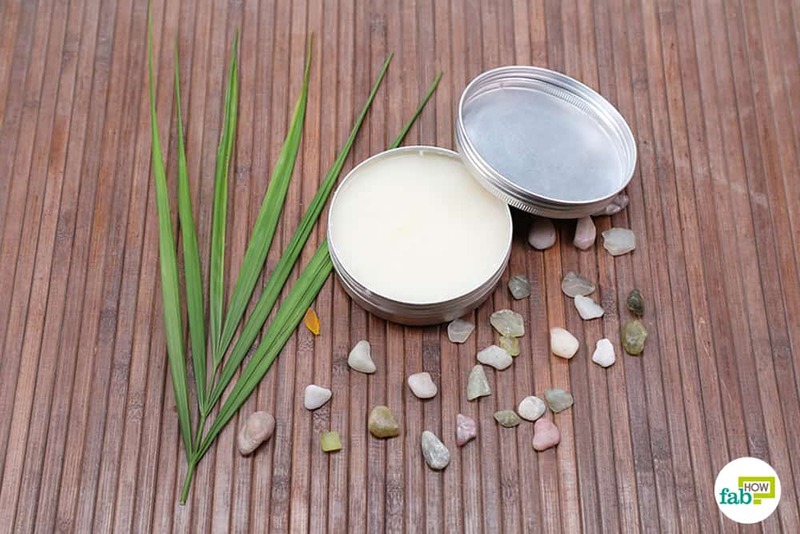 Beeswax has anti-inflammatory properties and helps in soothing the itchy skin. Shea Butter: Shea butter is a superfood for the skin that comes with the goodness of vitamins A, E, and F, fatty acids, and other necessary nutrients. It helps in protecting the skin from harmful UV rays and keeps it nourished and moisturized. It also protects natural oils of the skin and has anti-inflammatory properties. The soothing effect of shea butter offers relief to the itchy and flaky skin. Coconut oil: This light and fast-absorbing oil is a common ingredient in a variety of skin, hair, and lip-care products. It has anti-inflammatory and antimicrobial properties that kill harmful pathogens and keep away skin infections. From effects of dry winters to the damages caused by the scorching sun, this oil is the perfect solution for a variety of skin problems and ailments. It helps in treating signs of aging, scars, and spots, brightens the skin, and evens out the skin tone. It contains medium-chain fatty acids (caprylic, lauric, and capric) and healthy saturated fat that offer various benefits. 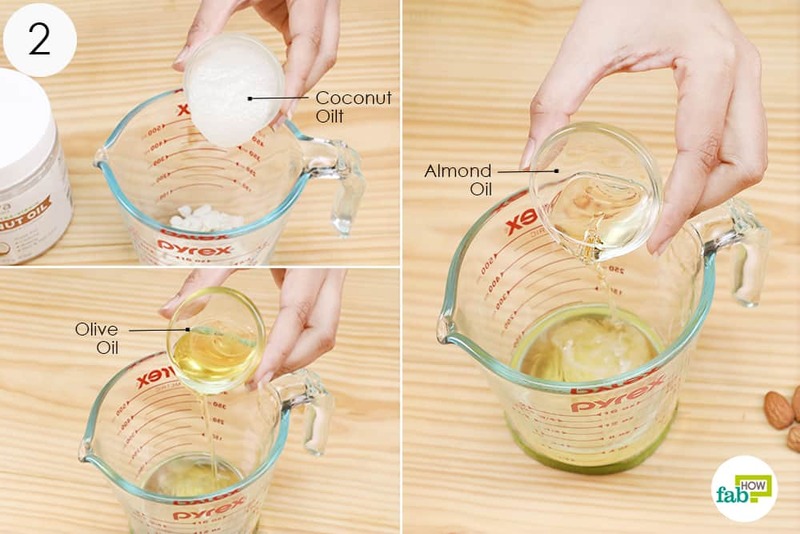 Coconut oil is a natural skin softener and is very useful in healing dry and rough hands. Olive oil: From cooking to cosmetics, this staple ingredient serves a lot of purposes. The vitamin (A, D, E, and K) content of olive oil benefits the skin in various ways. It also has antibacterial and moisturizing effects. The antioxidant content of olive oil helps fight premature signs of aging, while anti-inflammatory and soothing effects can treat infections. Olive oil penetrates deep into the skin and keeps it moisturized and smooth. Other than being a natural moisturizer, olive oil is also used to treat rough hands, reducing dark circles and soothing cracked heels and chapped lips. Almond Oil: Several types of research have proved the benefits of almond oil for skin. According to a 2007 study published in the Journal of Cosmetic Dermatology, it can rescue the skin from UV irradiation. The study published in Complementary Therapies in Clinical Practices in 2010 states that the emollient properties of almond oil help in rejuvenating and softening the skin. Almond oil is rich in vitamin E, which tackles the damaging free radicals and oxidative damage that harms the skin. It helps in brightening the skin, making it flawless and healthy from within. Almond oil has effective cleansing properties and keeps away acne. The high vitamin A content also aids in reducing acne flare-ups. Almond oil helps in getting rid of dark circles, reducing signs of aging, removing tans, and treating skin rashes. Vitamin E capsules: Antioxidants in vitamin E oil will give you moisturized and nourished hands, whereas the sulfur will restore and heal the nails and cuticles. It has antioxidant, anti-inflammatory, and healing properties. This remedy is also known as the “skin vitamin” owing to the endless skincare benefits it offers. It treats dark spots, scars, and skin hyperpigmentation. It helps improve skin elasticity and combats free radicals. 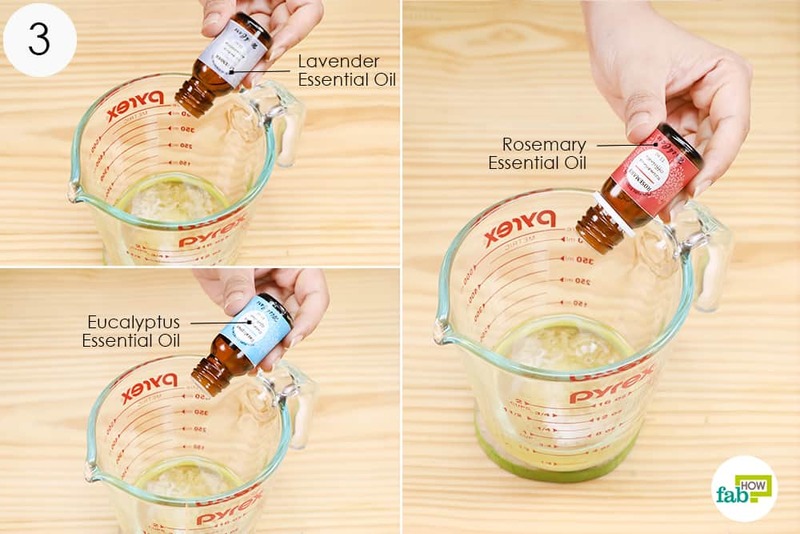 Essential oils: A healthy skin care routine helps in keeping it soft, supple, hydrated, and infection-free. All you require for taking good care of your skin are a few natural products, such as essential oils. These effective remedies derived from plants offer a safe and inexpensive solution to various skin problems. Rosemary essential oil: It has a strong and fresh aroma and is often used for cosmetic and housecleaning purposes. It offers anti-oxidant, anti-inflammatory, antibacterial, and antiseptic benefits. The presence of caffeic acid, rosmarinic acid, betullinic acid, carnosol, camphor, ursolic acid, and carnosic acid in this essential oil has tons of health benefits. It is useful for fighting signs of aging, reducing acne, treating inflammation, controlling excess oil, tightening skin pores, and toning the skin. Lavender oil: Lavender oil, another commonly used essential oil, comes with antibacterial, anti-inflammatory, and antiseptic properties. 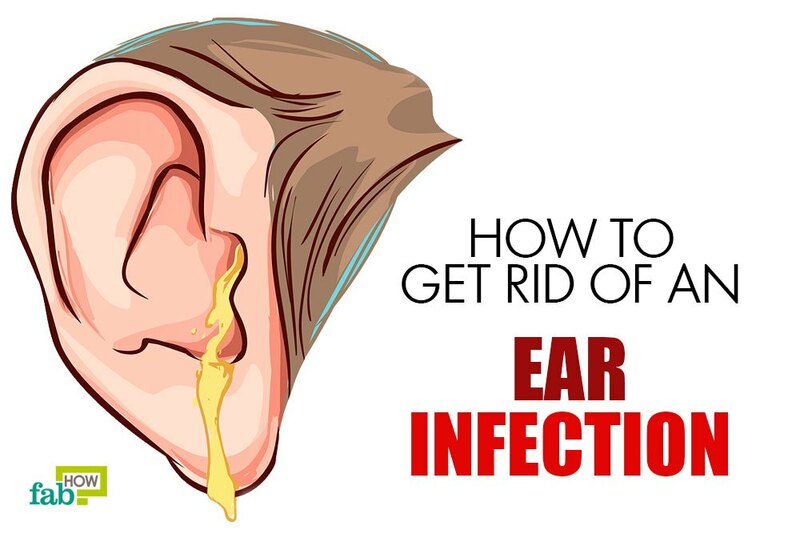 It helps in treating minor burns, bites, stings, wounds, and fungal infections, such as ringworm, jock itch, athlete’s foot, and others. It also helps in detoxifying and toning the skin, relieving tired muscles, lightening the skin, preventing wrinkles, and more. Eucalyptus essential oil: It is a common ingredient in inhalers, vapor rubs, rash creams, and liniments. It has antispasmodic, anti-inflammatory, disinfectant, antispasmodic, decongestant, antibacterial, analgesic, and antiseptic properties. This essential oil can be used for relaxing sore muscles, treating shingles, and other remedial and healing purposes. It can help you achieve softer and smoother skin. You can also prepare the hand cream with your choice of herb-infused oil. Dear men, your rough and tough skin also requires some care. Here are some homemade face masks for men you can try at home. For all the men out there, who are a fan of homemade products, you can go for all-natural homemade beard oil and balm, homemade shaving cream, and aftershave lotion.